In July 2011 Pastor John Chilimtsidya from Blantyre, Malawi, was in Scotland, for three weeks. He was being filmed as part of a television series originally intended to be broadcast in November 2010. Because of the link with Livingstone’s childhood and formative years, he visited the Church to look at the archive material, and the display dedicated to our most famous son. The programme was broadcast on 23rd March 2012, although Pastor John’s visit to our church and his reading of some archive material was not used in the programme. 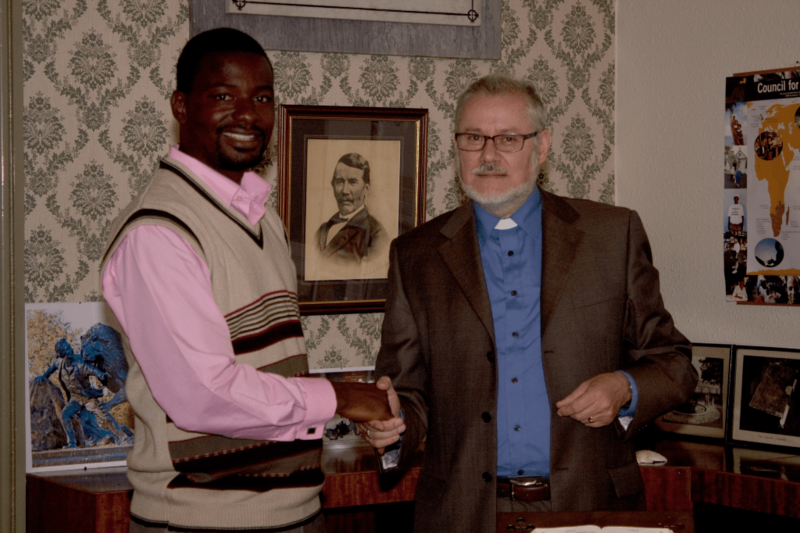 Pastor John is pictured here with the minister.